That pig one was funny. Doesn't take much to make some people (me included) laugh. :) Happy Friday. 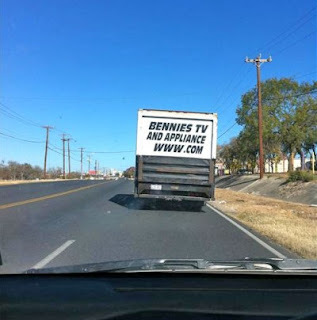 I don't get the first one about Bennies TV and appliance. It's the Web site address—it doesn't go anywhere. Adam: I accidentally deleted your comment. Gah! 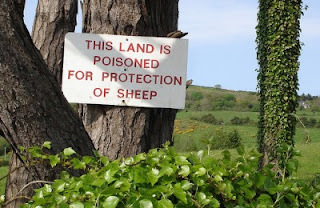 For those wondering, it said "Anything for sheep." Sorry. Have a good weekend, friend. 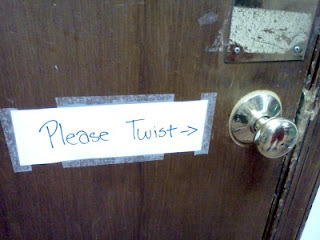 The please twist on the doorknob was hilarious! 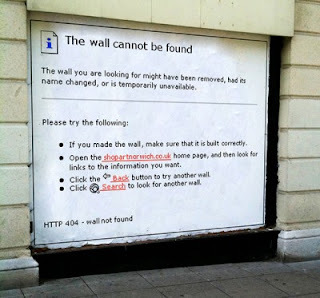 It's pretty amazing that a sign like that would be needed! I think everybody who saw the video with the pigs laughed. it's fun! and they're so cute! you have a great weekend Dana! That one made me laugh out loud, too! Funny dog...I can't stop laughing...have a nice weekend. Those were all great! 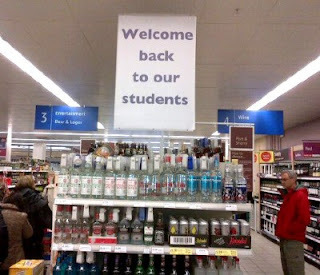 I especially liked the welcome back students sign right over the alcohol and the dog fetching the cat video - too funny! Glad you enjoyed them, Martha! Don't cry over spilled milk today!